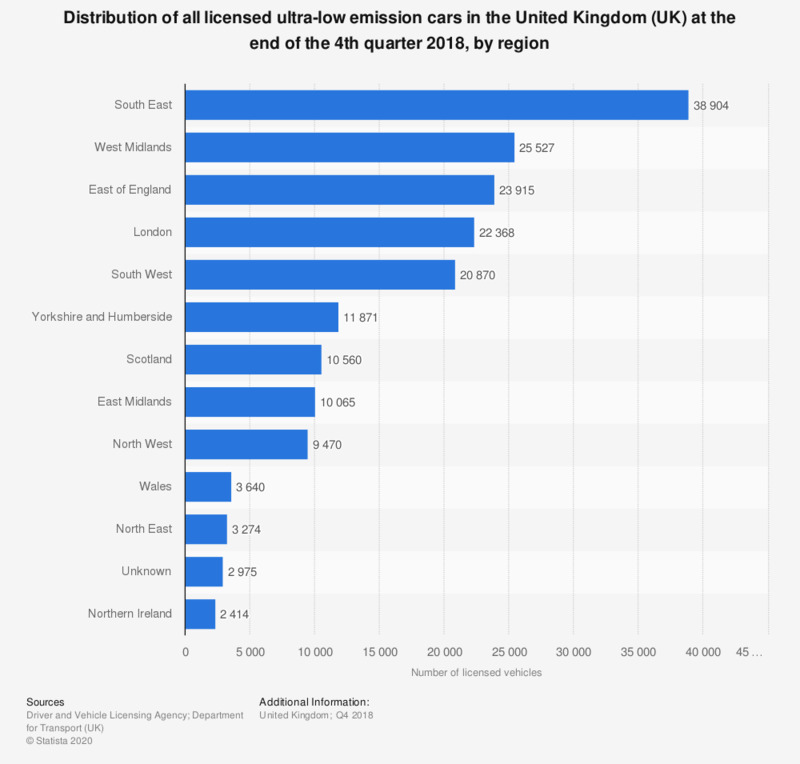 This statistic shows the distribution of all licensed ultra-low emission cars across the United Kingdom (UK) at the end of the 4th quarter of 2018, by region. Ultra-low emission cars include both government grant eligible electric, plug in and hydrogen fuelled cars as well as non-grant eligible low emission cars and quadricycles. In 2018, the highest number of ultra-low emission cars were found in the South East, amounting to 38,904 vehicles.